These patches are great for any edm/trap genre. Mixture of all styles mashed together. Or make a solid genre specific massive melodic song. If you like crazy, bright, melodic arps, plucks, leads, FX, bass, and pads this is for you. Also has some cool old movie style fx for creating that texture you always wanted. These sound are designed by Skinny Beats – Buddy Peterson. Who makeds patches for several different types of synths, fx, and audio effect chains. For synths such as Cyclop, Predator, Wow2, Gladiator, Fm8, Absynth, Suboom Bass, Punch, Blade and many more. Skinny Beats is also an avid finger drummer on the pads with controllers such as Maschine, Launchpad,and MPC…Also a DJ for 15 years. He has won several dj battles back in his hey day. He is now back in action producing and making dope tutorials all over the net… So keep an eye out for more Soundpacks, Constuction kits, and Presets for many genres. This will get you started on making your own melodic tracks. 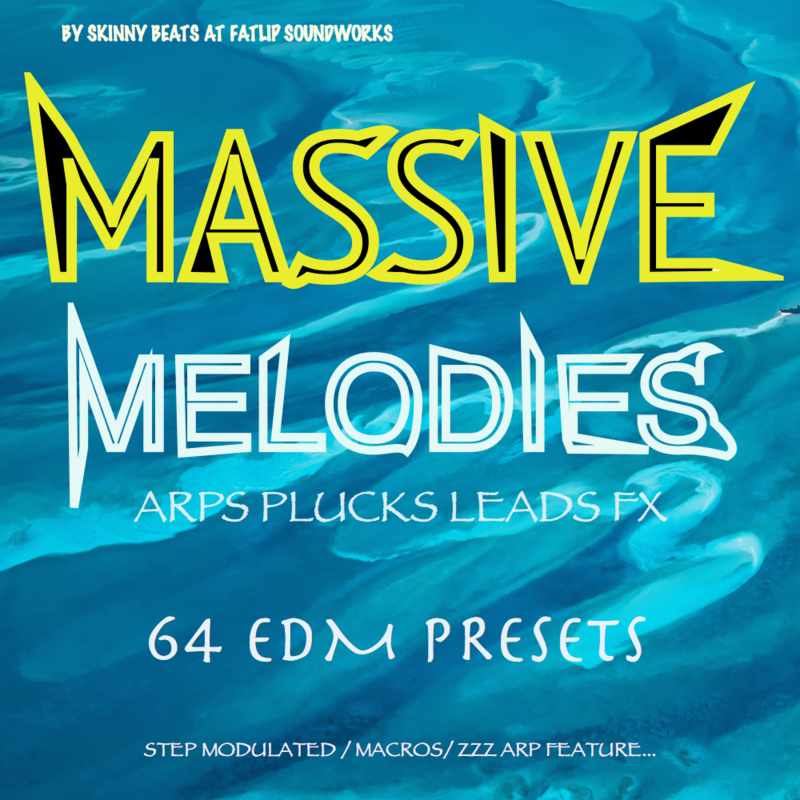 These can also be used for EDM, Trap, Dubstep, Hip hop, Sound Score, and many more genres…This Requires Massive 1.4!! !